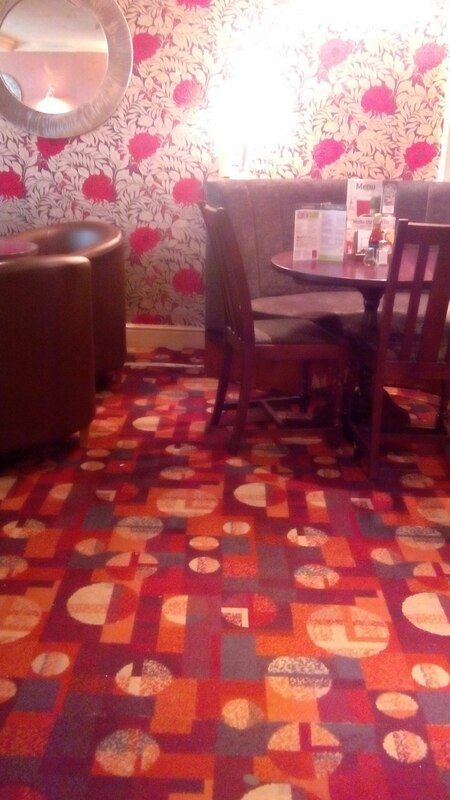 This entry was posted in Pubs, Transport, Weird on 28/07/2015 by garymoore. 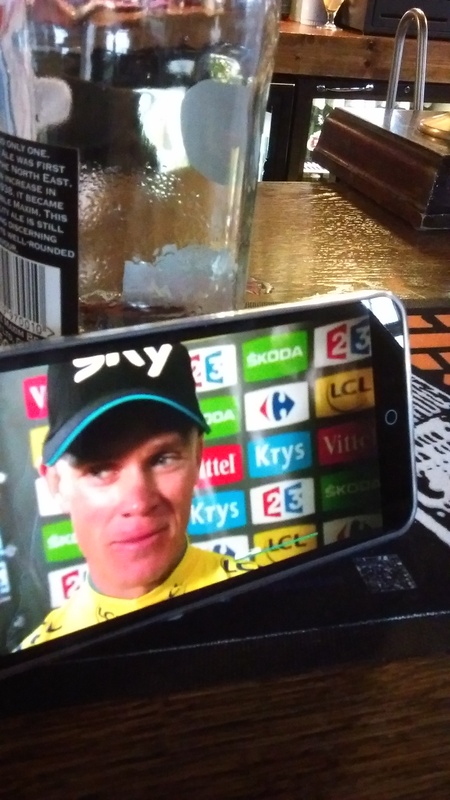 Thankfully, phones allow tv streaming when things matter. This entry was posted in Pubs on 26/07/2015 by garymoore. After erecting our new hammock (for the second time), I was left with a huge lump of concrete. While tidying up the garden today, I managed to motivate myself sufficiently to pick up a sledgehammer. After an hour and a half’s bashing, it gave up the fight and now rests in several rubble sacks. My arms may now be shaking, but I feel somewhat satisfied with my efforts. 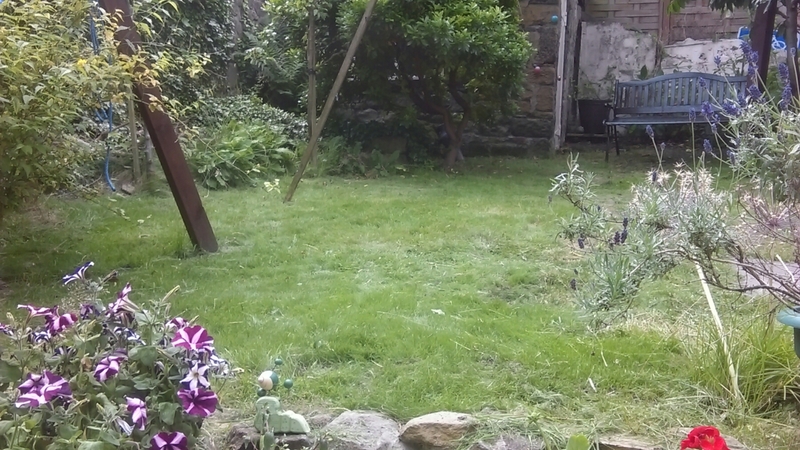 This entry was posted in Garden on 26/07/2015 by garymoore. There may still be some drawbacks to life with an Ubuntu phone, but every update (monthly) makes the experience nicer. Yesterday, some icons changed and new indicators (top of the screen) arrived. I quite like the move away from the standard bars for signal strength. This entry was posted in Technology on 26/07/2015 by garymoore. It’s strange how messy a change of ringtone can be. Three phones ago, this was a simple task; just copy a file to the phone, then select it as a ringtone. Now, what was wrong with that? My move to Apple around five years ago was generally a good experience. Ok, so having to use iTunes was a pain, but I was prepared for that, having used iPods for years. But silly little things irritated me; for example, the bizarre method of adding a ringtone (restricted in length, of course). 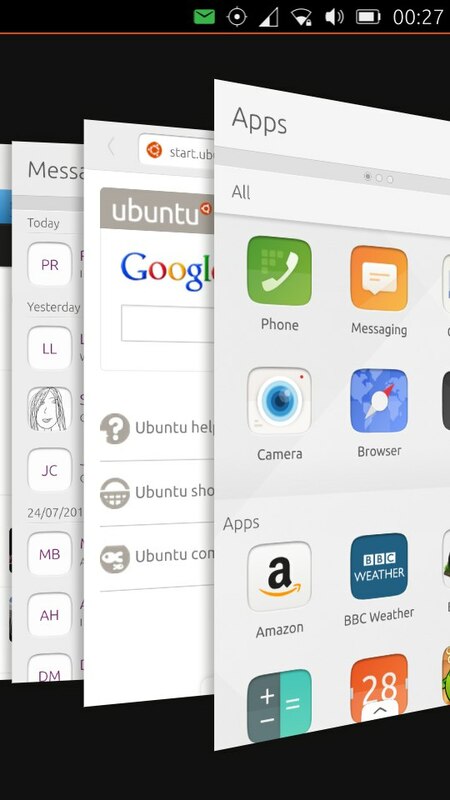 My move away from the iPhone, to the first Ubuntu phone a few months ago was, overall, quite positive. I’d known in advance that the product was a little raw, but that was fine. It was, and still is, great to be part of something which will, hopefully, become a real challenger to the Apple/Google monopoly. However, there’s a familiar ringtone problem. In fact, it’s a ringtone problem of a whole new order of magnitude. The stock noises are pretty awful, as you’d expect with any phone, and it’s proving to be very difficult to add new ones. After downloading a program to convert noises to *.ogg format, then agonisingly copying them to the phone, the above command lines (in a terminal window, since the phone’s file manager doesn’t seem to recognise when it’s no longer in read only mode) didn’t work. I may attempt this another day. My new Android phone does now have new ringtones. Although I needed to install an application to allow this to happen and couldn’t simply select an *.mp3 file to be used as a ringtone. So, this was still something of a hassle and, while it’s just a second phone, I was left feeling disappointed. While on the subject of phones, I’ve had a text from the Willowman festival today, from Jimmy, who’d just seen his 1000th band. I can’t claim to have seen anything like that number. And then there was a call or two from Peter, from the Ramblin Man festival Fair. The latter wasn’t a pleasant experience, Scorpions I believe (the lack of an apostrophe was deliberate by the way). And, since festivals have crept into my whinge about ringtones, I’m allowed to mention that I’m going to Kendal Calling next weekend. My second in command will be there also, as will be my niece and her new boyfriend (who seems a lot nicer than the last one). This will be my first small festival in ages and I’m really looking forward to it. The line-up’s impressive for something of this scale; my second in command may have told the entire populations of Gateshead and Peterborough that she’s going to see Augustines and Elbow. A final note; should you ring anyone from a gig, if you put your phone on speaker, then the other party might have a less painful experience. A useful tip learned from a security man in Manchester. This entry was posted in Music, Technology on 25/07/2015 by garymoore. Usually, when socialising, I’m one of the youngest when in the company of gentlemen. This evening, though, I was the eldest. But, I should say, only by a couple and a bit years. I’d not seen Bobby in years, or Mick in months. So the time passed pretty quickly. And nice food interfered with the pace of conversation. Too much catching up in just a few hours. This entry was posted in Food, History, People on 24/07/2015 by garymoore. Although I very much love my Ubuntu phone, and will continue to do so, I’ve come to accept that it’s very much work in progress. The concept’s brilliant and the phone’s so intuitive to use, so I’ve no plans to stop using it. And it’s great to be part of something from the beginning. But I’ve, after a few months, accepted that I do need a phone that can do mainstream stuff. At least as an interim measure. So I bought an Android phone yesterday. It’s pretty decent, an HTC, and it, well, works. It’s not as beautiful, or as nice to use as my Ubuntu phone though. 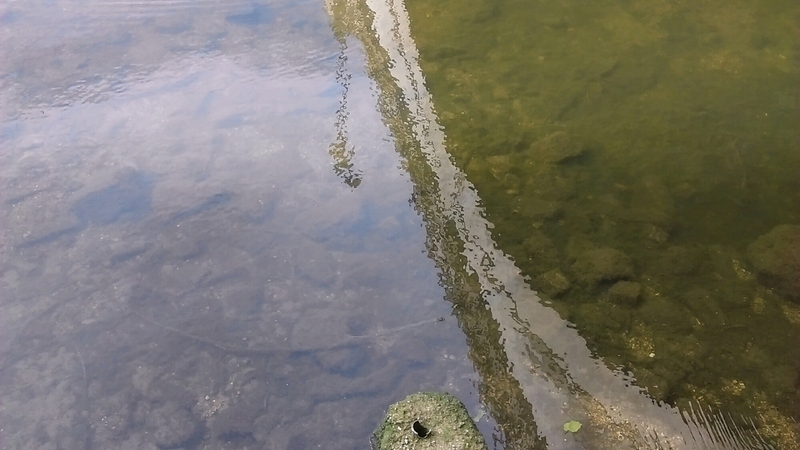 This entry was posted in Technology on 19/07/2015 by garymoore. This weekend involved an unplanned, additional, night in Peterborough. We’d originally intended only to stay on the Friday, following a party, then spend Saturday night in Kings Cliffe. But this did give us the opportunity to visit the Wortley Almshouses. I’m only allowed the one visit though; my second in command isn’t too keen on the regular patrons. We did, however, stumble into Charters on (technically) three occasions over the weekend. Well, it’s very much a summer bar. 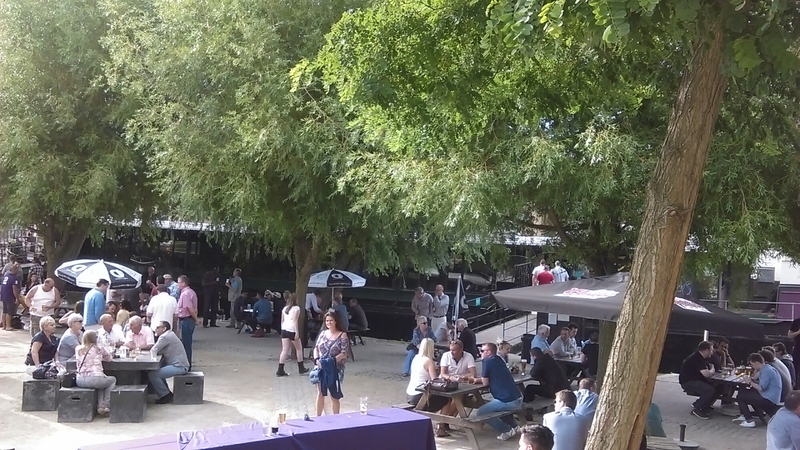 This entry was posted in Beer, Out and about, Pubs, Weather on 19/07/2015 by garymoore. I did decide on that second pint of Angara. It’s pretty addictive. Just looking at the menu. It’s a pretty small menu, but my second in command always tells me that small menus are better. You’re less likely to be served with freezer food. Anyway, there are five veggie meals, two of which are labelled as vegan. That’s impressive, particulsarly since the other three look as though they could easily be veganised. And, worthy of mention since this, remember, is the northeast. The Central’s a chain pub, belonging to the Head of Steam brand, now owned by Cameron’s. 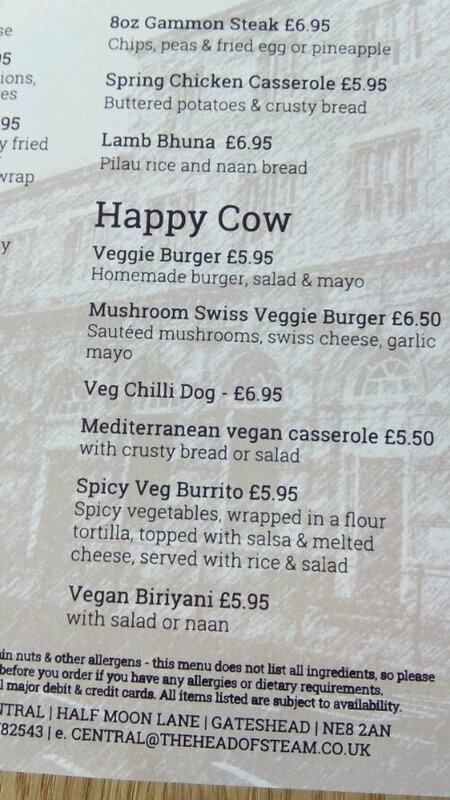 Hopefully, the other HoS pubs will have the same veggie-ness of menus. I can’t stay today to try the food, since I have a family thing this afternoon. But, I shall soon return. Might have another pint of Angara before I leave though. 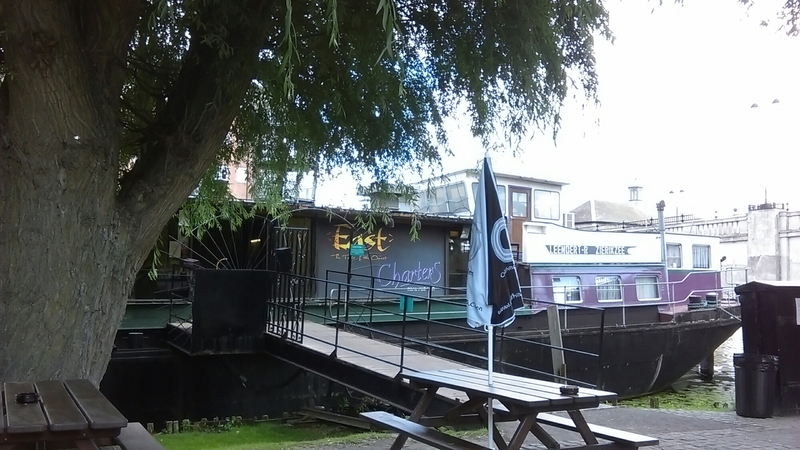 This entry was posted in Food, Pubs on 11/07/2015 by garymoore. No, I’ve not bought a telescope. My late uncle Patrick was the astronomy expert of the family. 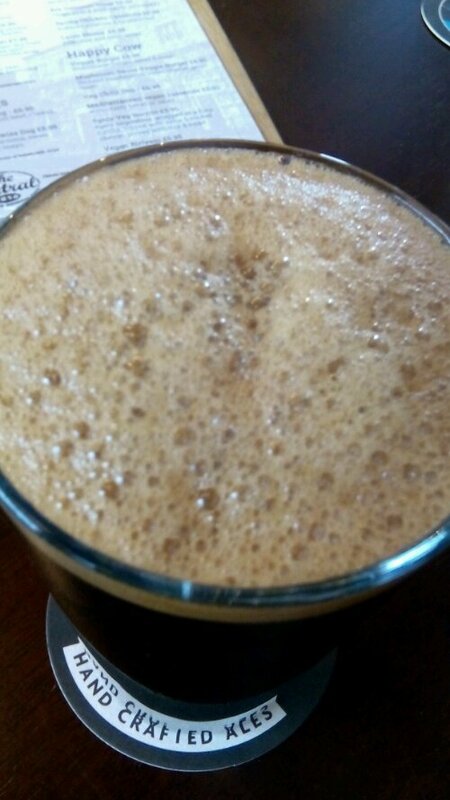 I’m currently enjoying, and nearing the end of, a pint of Out There’s Angara. It’s as black as you can get and a bit chocolaty. It’s quite gorgeous and locally produced too. 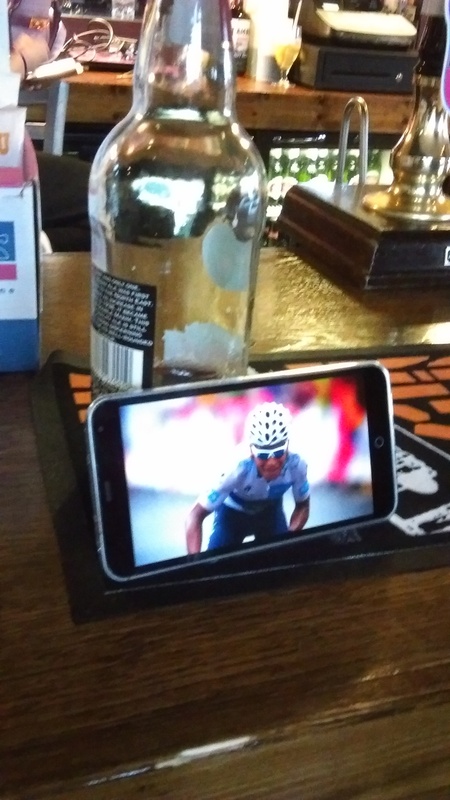 This entry was posted in Beer, Pubs on 11/07/2015 by garymoore.